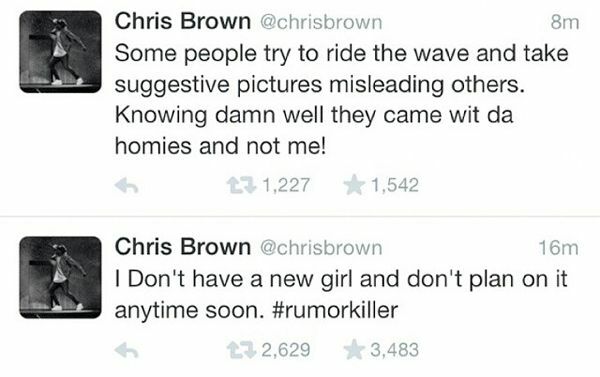 RUMOR CONTROL: Chris Brown CONFIRMS He Does NOT Have A New Girlfriend + Breezy OFFICIALLY OFF Probation! The Internet and social media was all abuzz after a chick named Briona Mae posted up a few Instagram pics and videos, alluding she might be Chris Brown’s new main chick. But, Breezy shut that down with the quickness. In other news, Chris is one happy man after a judge officially took him OFF probation! 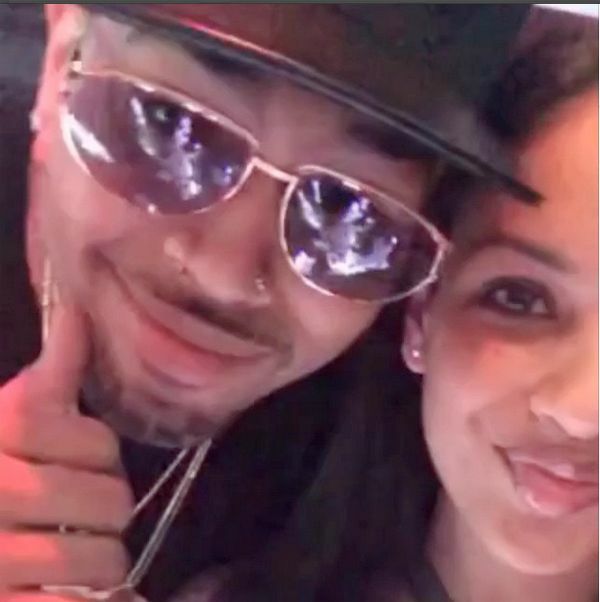 Earlier today, word on the curb was that Chris Brown had copped himself a “New Flame," following his break-up with on-again off-again girlfriend Karrueche Tran. You’ll recall Kae chucked the “deuces” after learning about his nine-month-old daughter Royalty. 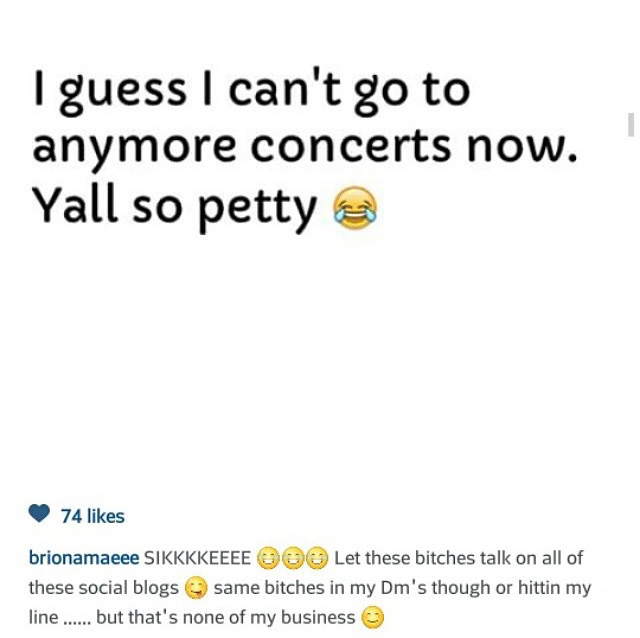 So, when a chick named Briona Mae started posting up pictures and videos to her Instagram page (which she has since made private) strategically leading folks to believe she was on tour with him...and alluded to being his new chick, fans were in a frenzy. But, Breezy shut her down…real quick. He took to his Twitter to confirm he does NOT have a new girlfriend and that chick was being deceptive with her posts. Chris Brown can thank the Lord above because after nearly six years of being on probation (and countless run-ins with the law) he is FINALLY OFF probation in the Rihanna assault case! 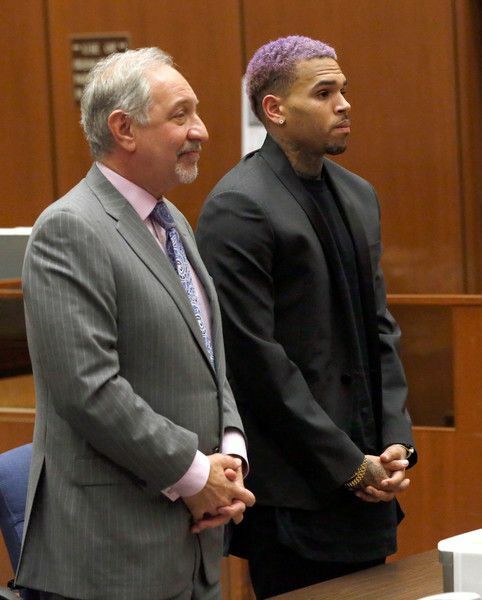 Following his probation being revoked, Breezy was due in court this morning (above) where the judge offered him a huge break by NOT throwing him in jail AND officially signing off for him to be a free man, confirmed by TMZ. We told you his probation was revoked after he did not receive permission to travel to San Jose for an appearance, where shots eventually rang out leaving five people wounded. To make matter worse, he was also in attendance at 1OAK at a VMA party resulting in Suge Knight getting shot. Breezy then had to delay his “Between the Sheets” tour (with Trey Songz & Tyga) after a judge denied his travel plans due to not completing his community service. Breezy knocked out his remaining community service, rescheduled some dates and ended his BTS tour last night in Hampton, VA.
Let's hope he can stay focused and out of trouble to be the best dad he can be to his baby girl Royalty.